*tap tap tap* This thing on? Hello! The blog has been relocated from tumblr to my own host. This site is now generated by a static site generator called Pelican (hey guys, fix your SSL cert pls). I don’t get it. Was this supposed to be a serious attempt at a horror novel, some kind of political allegory, or something else entirely? There wasn’t a single moment of tension in the entire book, and it was so clinical in its depiction of zombie apocalypse that it was actually an effort to finish reading the damn thing. The movie, starring Brad Pitt as a genius / super-soldier / father-of-the-year who instantly figures out what literally all the scientists in the world couldn’t, was actually better. Sure, it glossed over most of the political aspects and invented an entire story from whole cloth, but at least it had a plot, man. 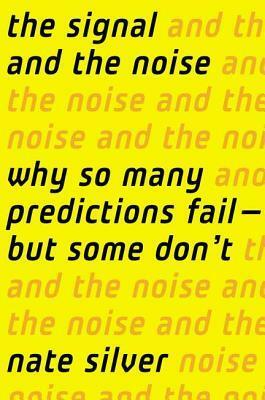 I followed Nate Silver’s blog (FiveThirtyEight) closely during the run-up to election day 2012. His premise was simple: grab every public poll possible, attempt to correct for pollsters’ known biases, and produce a forecast based on the result. Somehow no one had thought to do this before. Silver simply crunched the numbers and nailed the outcomes in every state. Meanwhile, pundits, bloggers, and assorted blowhards made predictions based on nothing but gut feeling and partisan hackery, and they mostly missed the mark (often by a wide margin).